BACKGROUNDER: IS TURKEY OF A LAUNCH PLAN PUTTING ENGLISH HERITAGE JOBS AT RISK? This Christmas, well over one hundred staff at English Heritage, the custodian of over 400 of England’s most important historic sites, are wondering if they will still have a job in the new year. The uncertainty has been caused by an internal staff consultation regarding potential redundancies, undertaken as part of a restructuring of the charity to be undertaken in an attempt to avoid a potential shortfall in funding of tens of millions of pounds by 2022/2023. The trade union Prospect claims that approaching 160 roles have been identified as “at risk” of redundancy, in a process which the union also claims could result in as many as 90 actual redundancies, representing around 4% of the workforce. However, the probability of significant job losses, and with it almost certainly a dilution of the ability of the charity to discharge its task of conserving the national portfolio of historic properties and presenting the sites to the public, has raised questions over just how sustainable the financial model which saw English Heritage spun off as an independent charity from Historic England in 2014, actually was in the first place. Indeed, these questions were raised at the time, with many expert bodies in the heritage sector, as well as MP’s in a parliamentary debate, questioning what they saw as a rushed, Treasury driven, plan to get the cost of maintaining the national portfolio of historic properties off of the Government’s books. A plan which, it has been argued, was driven ahead by ministers without the publication of crucial detail and risk assessments which would have enabled proper scrutiny and which may now have also been overtaken by events in the wider economy, such as inflation and changes in regulations affecting the workplace. Steered by Ed Vaizey, the then Minister of State for Culture and the Creative Industries, and signed off by then Culture Secretary Sajid Javid, the plan to spin off the government’s portfolio of historic properties to an independent charity called English Heritage went ahead largely as an administrative matter, with no detailed examination in Parliament, apart from a single debate in Westminister Hall. As a result the newly minted English Heritage received a one off grant of £80 million from Historic England as it came into being on 31 March 2015. The grant was variously seen as either a golden handshake to the new charity, or as a final pay off from the Conservative led Coalition Government, which, critics argued, had already shown where heritage stood in its priorities by cutting over one third of the organisation’s funding in 2010. A move which was seen widely as disproportionate even under then Chancellor George Osborne’s policy of austerity, the policy attracting critical comment even by, for example, Geoffrey Lean writing in the Conservative leaning Daily Telegraph. In fact the stated intention of the so called “New Model Grant was to jump start the independent English Heritage charity by enabling it to invest £52 million in the renovation and conservation of it’s portfolio of sites and monuments over the eight years running up to financial year 2022/2023. The balance of £28 million was to be invested in the organisation’s commercial programme, through the provision of new visitor facilities and improved and updated presentation and interpretation facilities. Crucially, by financial year 2022/2023 the charity was intended to have achieved financial independence from Government, becoming self supporting, resting on the pillars of admissions and other commercial activity, membership, legacies and its own fund raising activities. In 2018 English Heritage is due to report to the Department for Digital, Culture, Media & Sport (DCMS) on how the organisation is performing against the projections laid out in the Launch Plan and the effectiveness of the New Model grant and in some areas the performance has been very good. The most recent annual report recorded that English Heritage now has almost one million members, and it is having some success too in diversifying the funding streams it can tap into. In 2016/2017 on an overall turn over of £103.0 million, hospitality events contributed £1.2 million to the funding pot. The financial foundations also seem secure on the face of it, with the actual income of £57.8 million exceeding the launch plan’s target of income of £54.1 million in the same period. Yet the charity still faces a bleak financial situation which, English Heritage management claim, can only be resolved by cutting around 4% of its work force, including some of the charity’s most highly experienced and strategically important staff. The key to the problem lies apparently in another figure recorded in the report. In 2016/2017 expenditure exceeded the target by over £1.2 million, with English Heritage spending £6,215 million as opposed to the target of £5, million. In fact, neither the Government, nor the senior management team at English Heritage, can complain that they were not warned about the dangers of the proposal to set up the charity without detailed financial preparation, adequate seed corn funding and allowing enough time for the changes to bed in. The most public forum for this questioning was a debate about the Government’s proposal to split English Heritage from Historic England, which took place in Westminster Hall on 2 April 2014. “…that the envisaged charity could become self-funding, while maintaining standards of curatorial care and property maintenance”. Whatever the source of Mr Whittingdale’s figure, the fact that such a well connected MP and one with an interest in the heritage could even raise it in the course of a debate suggests that there is a legitimate question over the allocation of £52 million for maintenance in the New Model Grant. It may be that the figure was less what was actually required than what the Treasury was prepared to offer. “The new English Heritage charity has been working to the Launch Plan and we have in fact beaten those plan’s targets. As a result of all these factors, it is now clear that, far from being able to build up reserves, the charity has been unable to prevent a financial cash drain which the charity says could lead to a shortfall in funding of as much as £21.2 million by 2022/3. 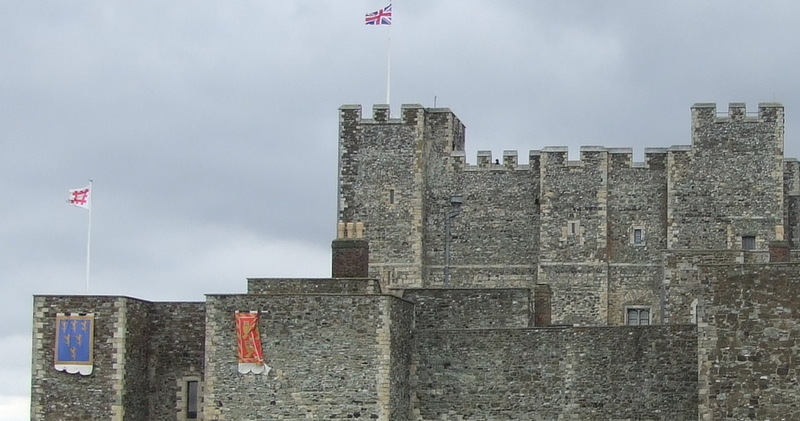 However, in a potentially dangerous Catch 22 situation, further attempts to build a sound and sustainable financial base for English Heritage may be seriously damaged by the proposed job cuts. For example, a current headline project, featured on the English Heritage website, is Project Ironbridge, the £3.6 million conservation project centered on the iconic bridge across the Ironbridge Gorge World Heritage Site in Shropshire. An innovative crowd funding effort to support the project recently exceeded targets when 911 donors raised £47,545, almost twice the original target of £25k. However, thePipeLine understands that many of the staff involved in day to day running the Ironbridge project fall into the “At Risk” category under the terms of the consultation and could lose their jobs, casting doubt on whether such initiatives might be as effective, or even possible, in future. A spokesperson for the trade union Prospect, which represents many of the staff under threat, told thePipeLine that, another of the unintended consequences of the proposed job cuts could be a weakening of the organisations commitment to the regions, with individual regional officers required to cover even more ground than they do already. Finally neither does simply increasing visitor numbers offer an easy way to boost income. In the year 2016, while most English Heritage properties did show an increase in visitor footfall, only two properties from the English Heritage portfolio appeared in the top one hundred visitor attractions, ranked by visitor numbers, compiled by the UK Association of Leading Visitor Attractions. Of these, while Stonehenge reached number twenty two, with 1,381,855 visitors, Dover Castle only crept in at number ninety eight, while by way of contrast the other major property owning heritage charity, the National Trust, boasts fifteen entries in the top one hundred. It is noticeable that everyone consulted by thePipeLine in preparation of this article expressed some sympathy for the current senior management of English Heritage. The point is made that the current team, including the Head of Human Resources, are relatively recent appointments, and that the team which designed and oversaw the demerger with Historic England, including then chief executive Dr Simon Thurley, have mostly moved on. However, in wider political terms, and to use a seasonal poultry based metaphor, it appears that critics of the original business plan may be in the process of being proved right, in that a whole flock of malnourished financial chickens are now coming home to roost. Consequently the fear in both Whitehall and the Heritage sector must be that, like Private Finance Initiative [PFI] agreements in the NHS which have left hospital trusts burdened with debt, and the attempt of the Ministry of Defence to provide the Royal Navy with new aircraft carriers [which will have no aircraft for several years and then increasingly fewer than originally planned on account of cost overruns], the English Heritage launch plan was the Treasury driven equivalent of a factory farmed turkey; artificial, forced to grow too quickly, incapable of flight and doomed eventually to collapse under its own weight. It is question which will become ever more acute for the government and the wider heritage sector as the year 2025 approaches, because that is the year when the current licence under which English Heritage administers its portfolio of sites expires.